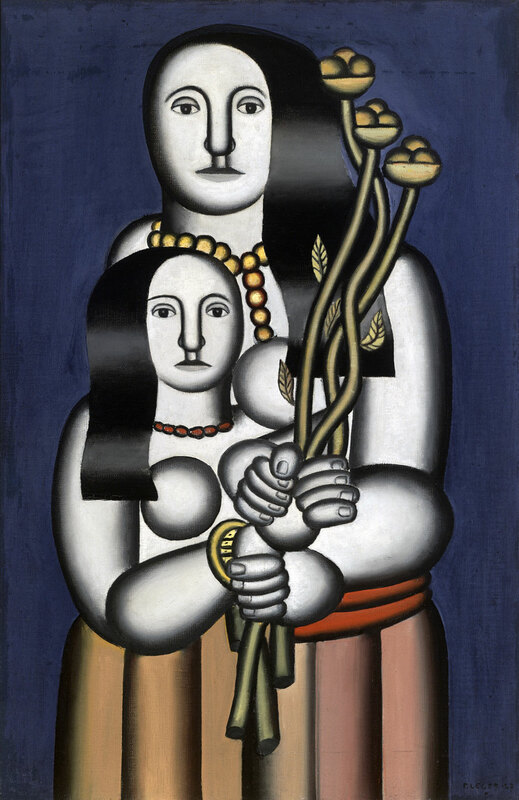 Featured artists include Margaret Bourke-White, Constantin Brancusi, Giorgio de Chirico, Salvador Dalí, Marcel Duchamp, Germaine Krull, Fernand Léger, Wyndham Lewis, László Moholy-Nagy, Piet Mondrian, Man Ray, Alexander Rodchenko, and Charles Sheeler, among others. Many thankx to the San Francisco Museum of Modern Art (SFMOMA) and the Cantor Arts Center at Stanford University for allowing me to publish the art work in the posting. Please click on the art work for a larger version of the image. 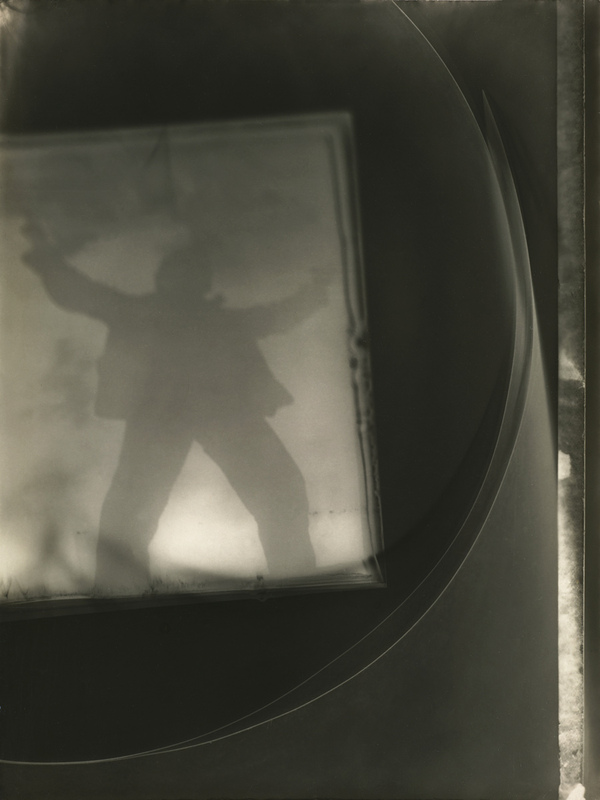 In Paris between 1926 and 1928, Krull became friends with Sonia Delaunay, Robert Delaunay, Eli Lotar, André Malraux, Colette, Jean Cocteau, André Gide and others; her commercial work consisted of fashion photography, nudes, and portraits. 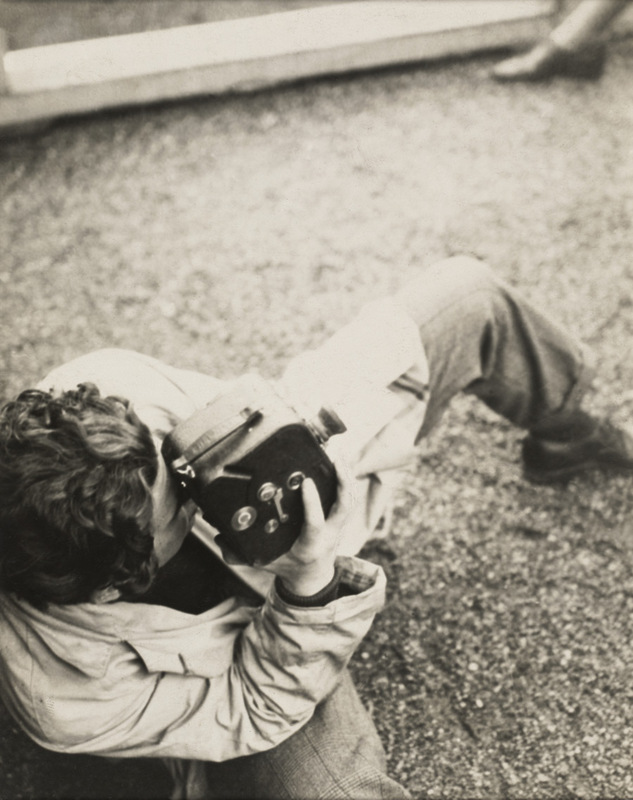 During this period she published the portfolio Métal (1928) which concerned “the essentially masculine subject of the industrial landscape.” Krull shot the portfolio’s 64 black-and-white photographs in Paris, Marseille, and Holland during approximately the same period as Ivens was creating his film De Brug (“The Bridge”) in Rotterdam, and the two artists may have influenced each other. The portfolio’s subjects range from bridges, buildings and ships to bicycle wheels; it can be read as either a celebration of machines or a criticism of them. 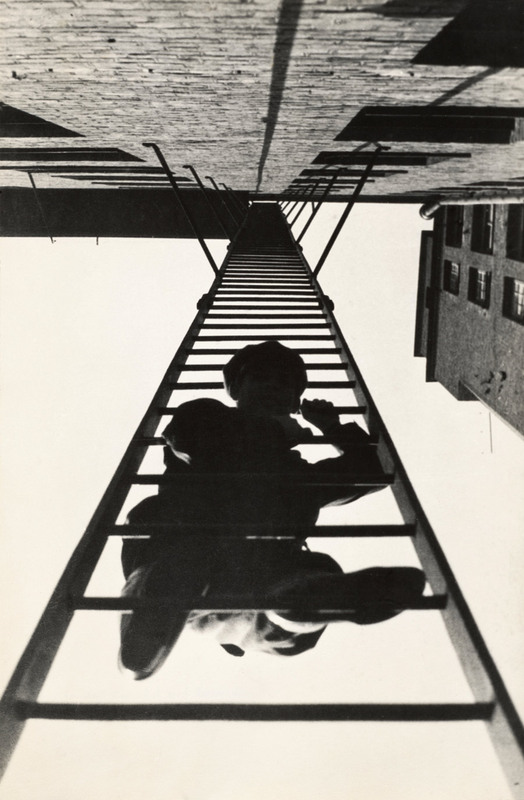 Many of the photographs were taken from dramatic angles, and overall the work has been compared to that of László Moholy-Nagy and Alexander Rodchenko. In 1999-2004 the portfolio was selected as one of the most important photobooks in history. Lazar Markovich Lissitzky (November 23 1890 – December 30, 1941), better known as El Lissitzky, was a Russian artist, designer, photographer, typographer, polemicist and architect. He was an important figure of the Russian avant garde, helping develop suprematism with his mentor, Kazimir Malevich, and designing numerous exhibition displays and propaganda works for the Soviet Union. His work greatly influenced the Bauhaus and constructivist movements, and he experimented with production techniques and stylistic devices that would go on to dominate 20th-century graphic design. Raoul Ubac (31 August 1910, Cologne – 24 March 1985, Dieudonne, Oise) was a French painter, sculptor, photographer and engraver. Ubac’s mother’s family ran a tannery and his father was a magistrate. In his early years he traveled through some parts of Europe on foot. He originally intended to become a waterways and forestry inspector. His interest in art was aroused when he made his first visit to Paris in 1928 and met several artists, including Otto Freundlich. “Co-organized by the San Francisco Museum of Modern Art (SFMOMA) and the Cantor Arts Center at Stanford University, Flesh and Metal: Body and Machine in Early 20th­-Century Art presents more than 70 artworks that explore a central dynamic of art making in Europe and the Americas between the 1910s and the early 1950s. 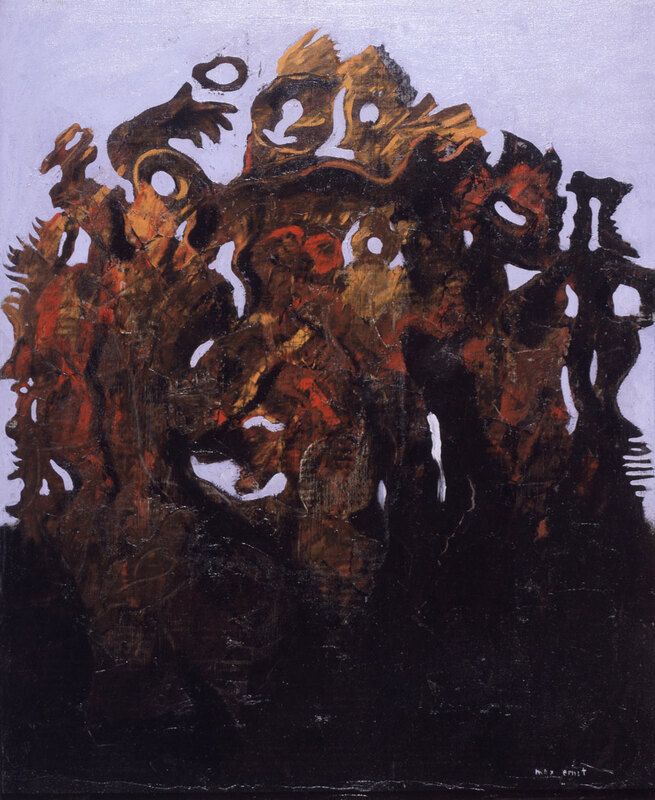 On view from November 13, 2013 to March 16, 2014 at the Cantor Arts Center, the exhibition includes a rich group of paintings, sculptures, photographs, drawings, prints, and illustrated books from the collection of SFMOMA. Taken together, the works offer a fresh view of how artists negotiated the terrain between the mechanical and the bodily – two oppositional yet inextricably bound forces – to produce a wide range of imagery responding to the complexity of modern experience. The exhibition is part of the collaborative museum shows and extensive off-site programming presented by SFMOMA while its building is temporarily closed for expansion construction. From the summer of 2013 to early 2016, SFMOMA is on the go, presenting a dynamic slate of jointly organized and traveling exhibitions, public art displays and site-specific installations, and newly created education programs throughout the Bay Area. 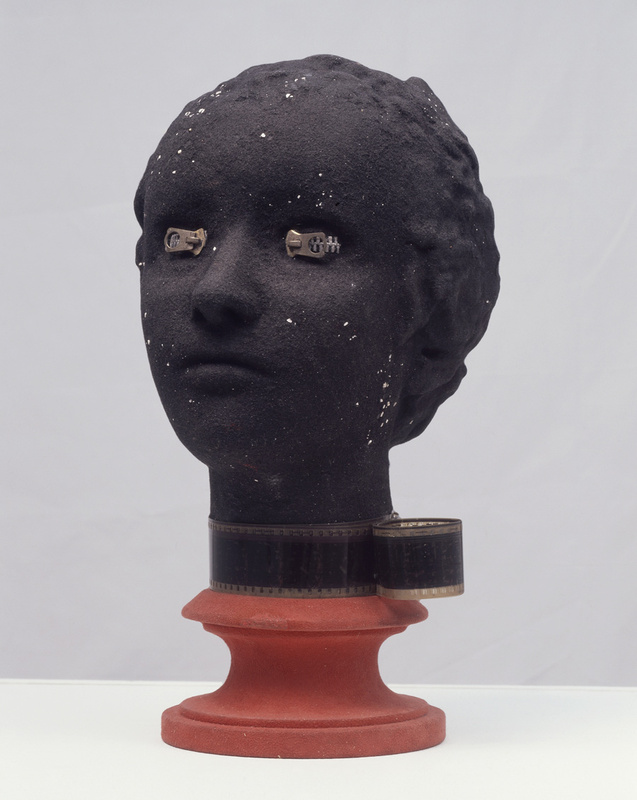 The exhibition is organized into four thematic sections dealing with the human figure, the imagination, the urban landscape, and the object, which together reveal a range of artists’ responses to the conditions of modernity. At the beginning of the 20th century, many hailed the machine as a symbol of progress. 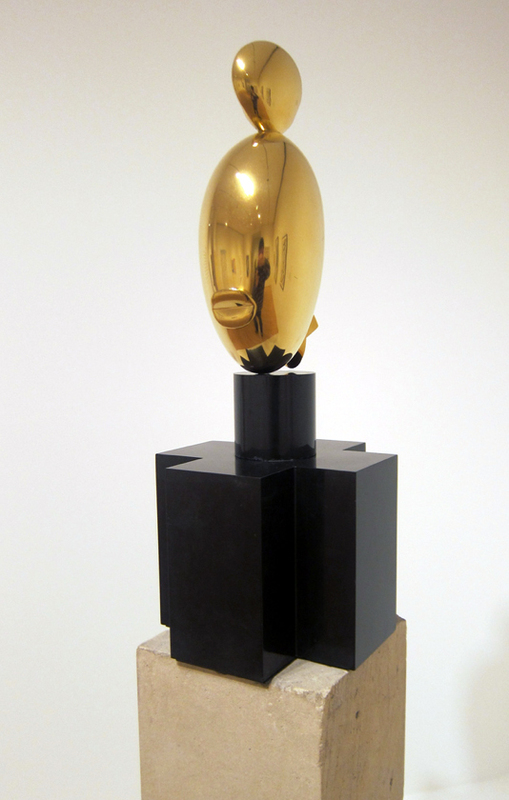 “Speed” and “efficiency” entered the vocabularies of art movements such as Futurism (in Italy), Purism (in France), Vorticism (in England), and Constructivism (in Russia), all of which adapted the subject matter and formal characteristics of the machine. Factories and laborers were presented positively as emblems of modernity, and mechanization became synonymous with mobility and the possibility of social improvement. 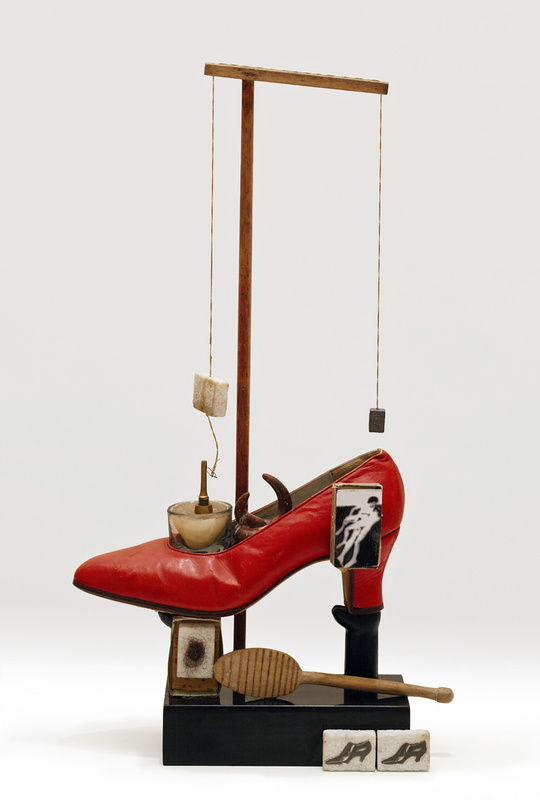 Countering this utopian position were proponents of the Dada and Surrealist movements (based largely in Germany and France), who found mechanical production problematic. 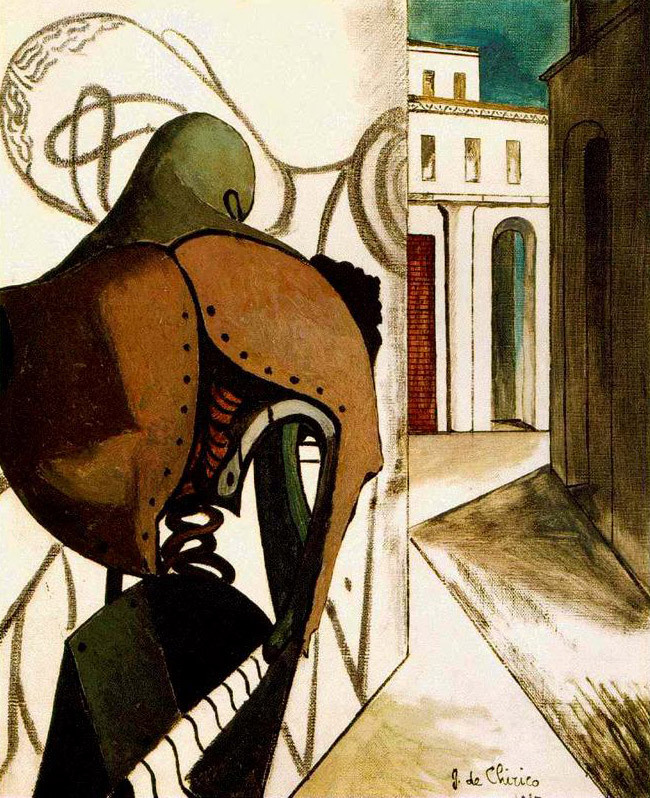 For many of these artists who had lived through the chaos and destruction of World War I, the machine was perceived as a threat not only to the body, but to the uniquely human qualities of the mind as well. These artists embraced chance, accident, dream, and desire as new paths to freedom and creativity, in contrast to their counterparts who maintained their faith in an industrially enhanced future. Hans Bellmer (13 March 1902 – 23 February 1975) was a German artist, best known for the life sized pubescent female dolls he produced in the mid-1930s. 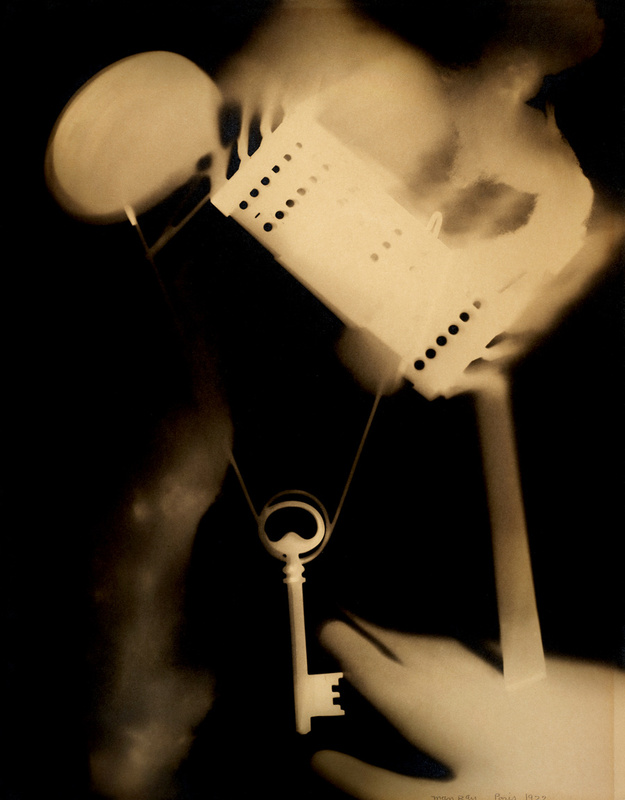 Historians of art and photography also consider him a Surrealist photographer. Bellmer was born in the city of Kattowitz, then part of the German Empire (now Katowice, Poland). Up until 1926, he’d been working as a draftsman for his own advertising company. He initiated his doll project to oppose the fascism of the Nazi Party by declaring that he would make no work that would support the new German state. Represented by mutated forms and unconventional poses, his dolls were directed specifically at the cult of the perfect body then prominent in Germany. Bellmer was influenced in his choice of art form by reading the published letters of Oskar Kokoschka (Der Fetisch, 1925). Bellmer’s doll project is also said to have been catalysed by a series of events in his personal life. Hans Bellmer takes credit for provoking a physical crisis in his father and brings his own artistic creativity into association with childhood insubordination and resentment toward a severe and humorless paternal authority. 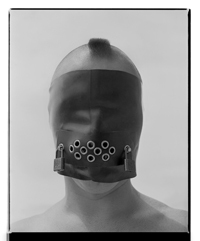 Perhaps this is one reason for the nearly universal, unquestioning acceptance in the literature of Bellmer’s promotion of his art as a struggle against his father, the police, and ultimately, fascism and the state. Events of his personal life also including meeting a beautiful teenage cousin in 1932 (and perhaps other unattainable beauties), attending a performance of Jacques Offenbach’s Tales of Hoffmann (in which a man falls tragically in love with an automaton), and receiving a box of his old toys. After these events, he began to actually construct his first dolls. In his works, Bellmer explicitly sexualized the doll as a young girl. The dolls incorporated the principle of “ball joint”, which was inspired by a pair of sixteenth-century articulated wooden dolls in the Kaiser Friedrich Museum. Bellmer produced the first doll in Berlin in 1933. Long since lost, the assemblage can nevertheless be correctly described thanks to approximately two dozen photographs Bellmer took at the time of its construction. Standing about fifty-six inches tall, the doll consisted of a modeled torso made of flax fiber, glue, and plaster; a mask-like head of the same material with glass eyes and a long, unkempt wig; and a pair of legs made from broomsticks or dowel rods. One of these legs terminated in a wooden, club-like foot; the other was encased in a more naturalistic plaster shell, jointed at the knee and ankle. 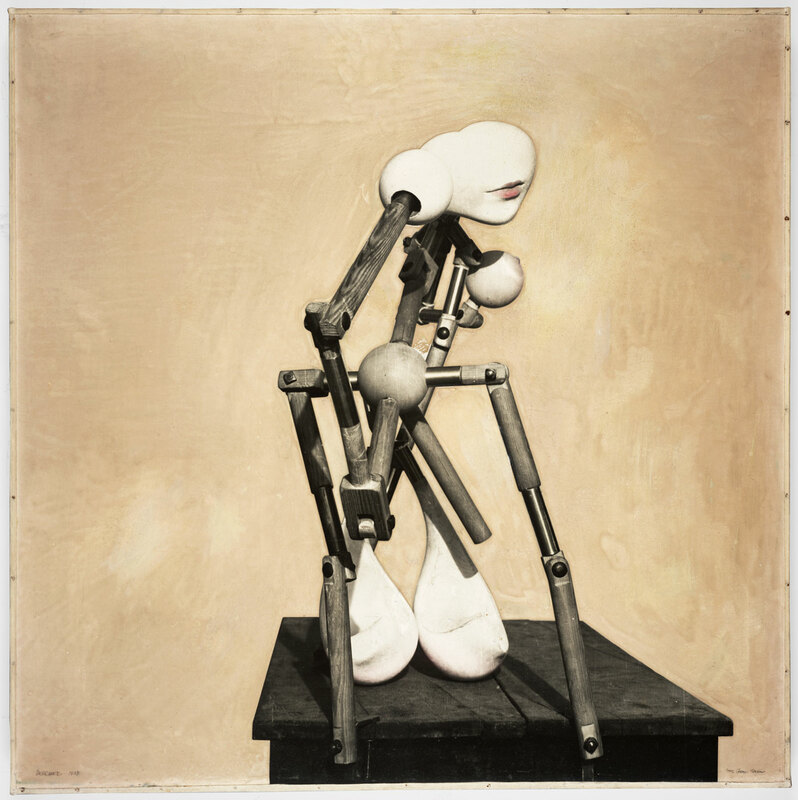 As the project progressed, Bellmer made a second set of hollow plaster legs, with wooden ball joints for the doll’s hips and knees. There were no arms to the first sculpture, but Bellmer did fashion or find a single wooden hand, which appears among the assortment of doll parts the artist documented in an untitled photograph of 1934, as well as in several photographs of later work. Bellmer’s 1934 anonymous book, The Doll (Die Puppe), produced and published privately in Germany, contains 10 black-and-white photographs of Bellmer’s first doll arranged in a series of “tableaux vivants” (living pictures). The book was not credited to him, as he worked in isolation, and his photographs remained almost unknown in Germany. Yet Bellmer’s work was eventually declared “degenerate” by the Nazi Party, and he was forced to flee Germany to France in 1938. Bellmer’s work was welcomed in the Parisian art culture of the time, especially the Surrealists around André Breton, because of the references to female beauty and the sexualization of the youthful form. 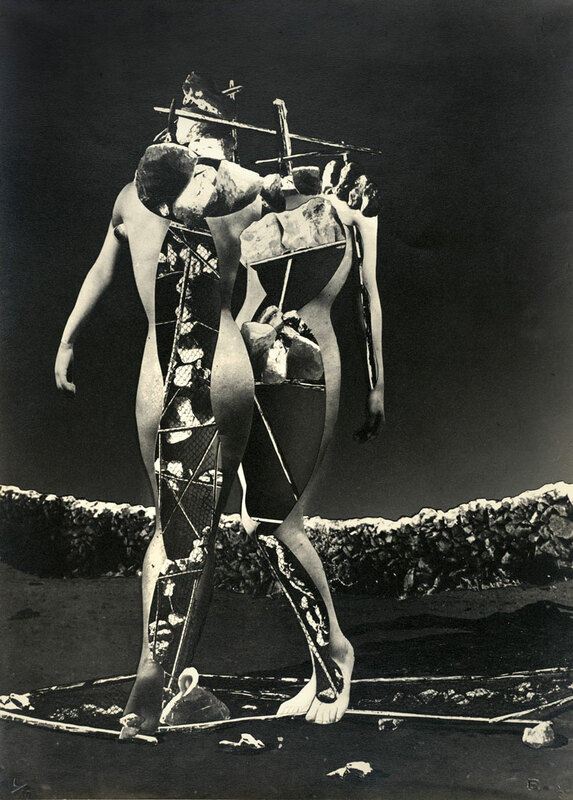 His photographs were published in the Surrealist journal Minotaure, 5 December 1934 under the title “Poupée, variations sur le montage d’une mineure articulée” (The Doll, Variations on the Assemblage of an Articulated Minor).